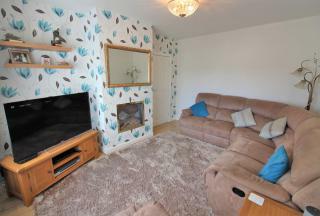 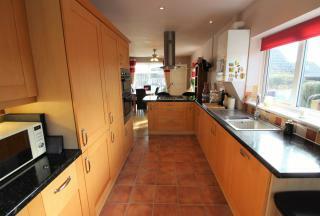 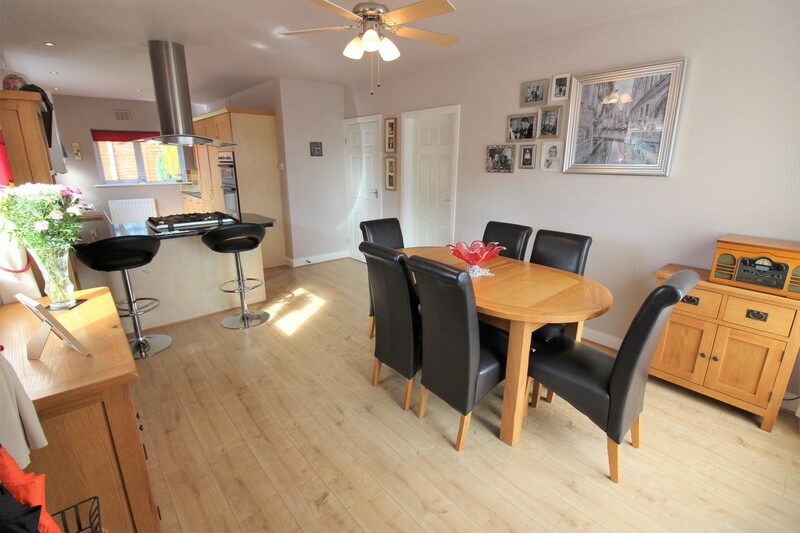 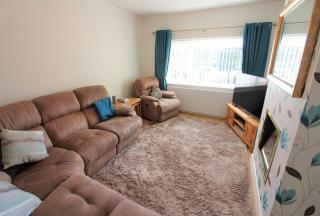 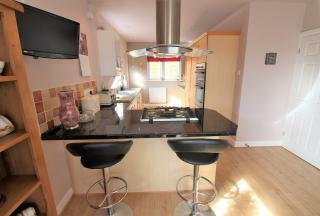 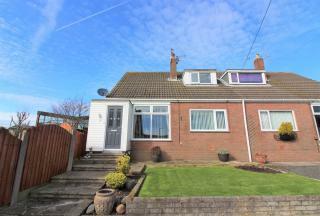 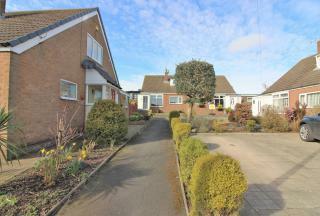 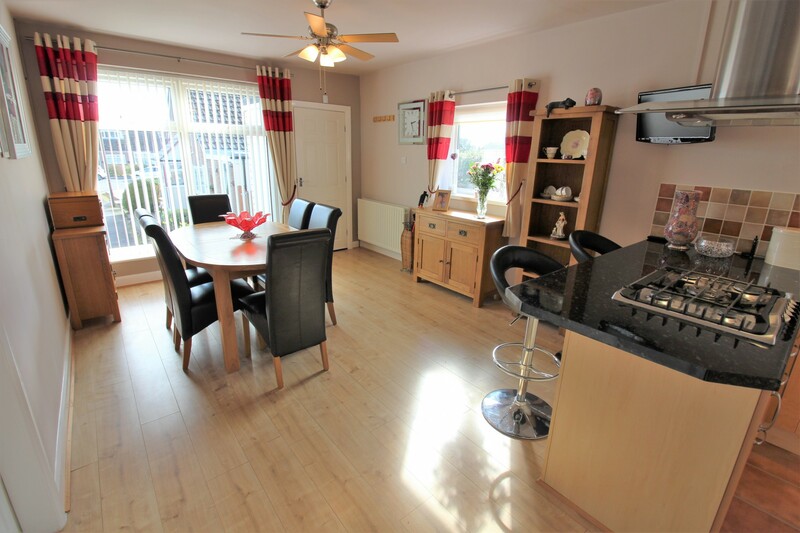 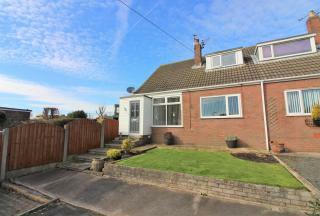 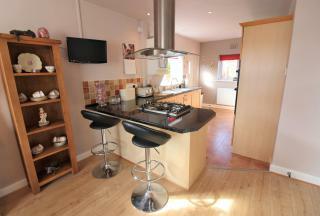 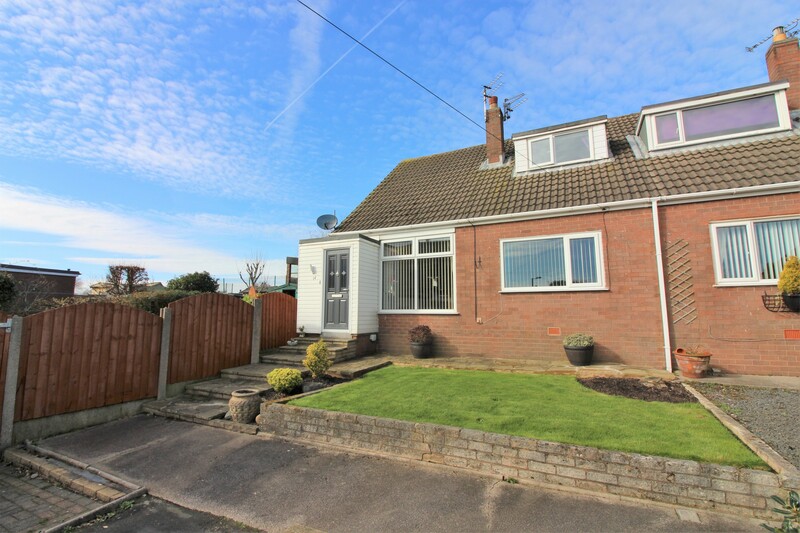 Beautifully presented three bedroom semi detached dormer bungalow for sale situated within a quiet cul de sac in the heart of Staining. 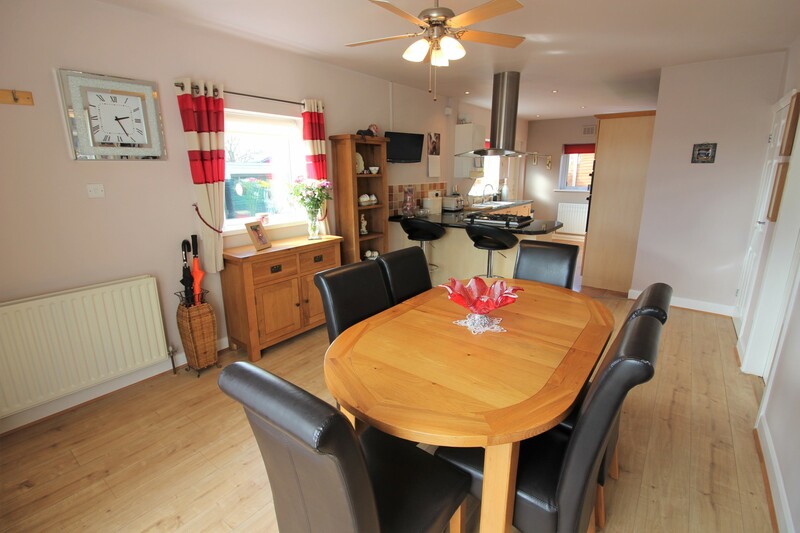 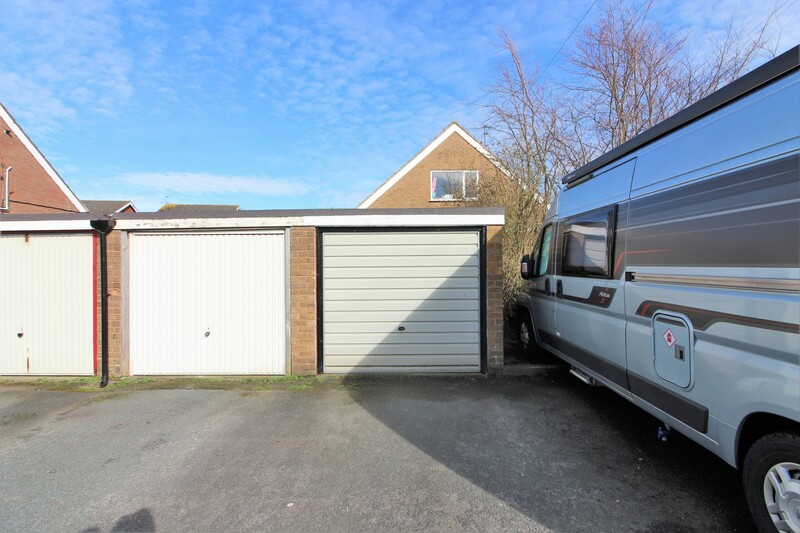 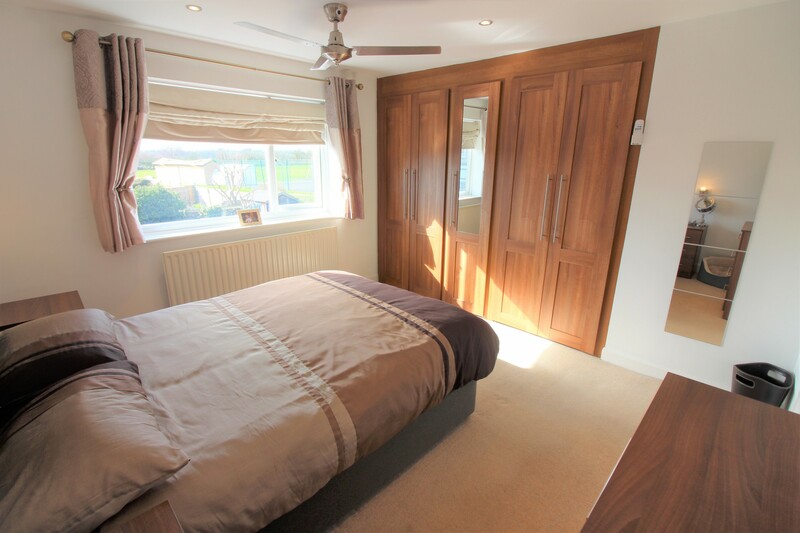 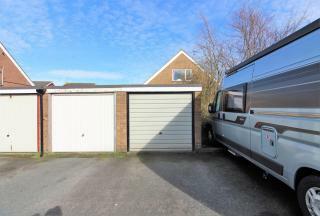 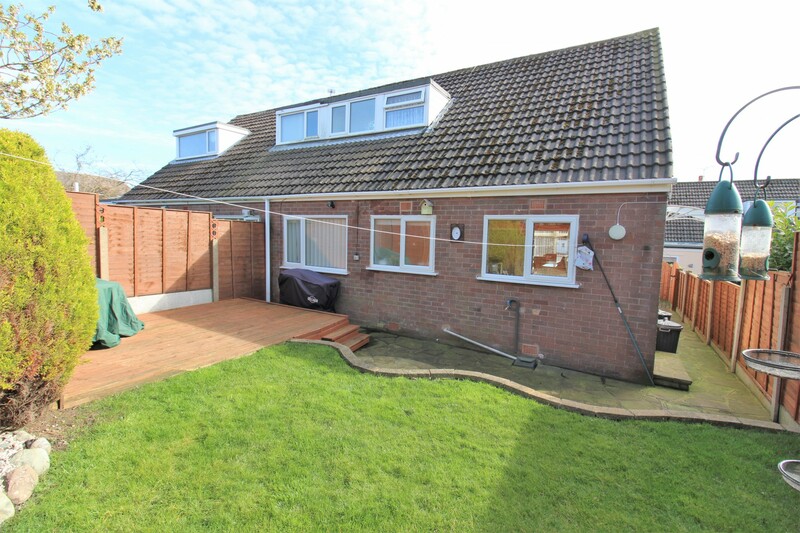 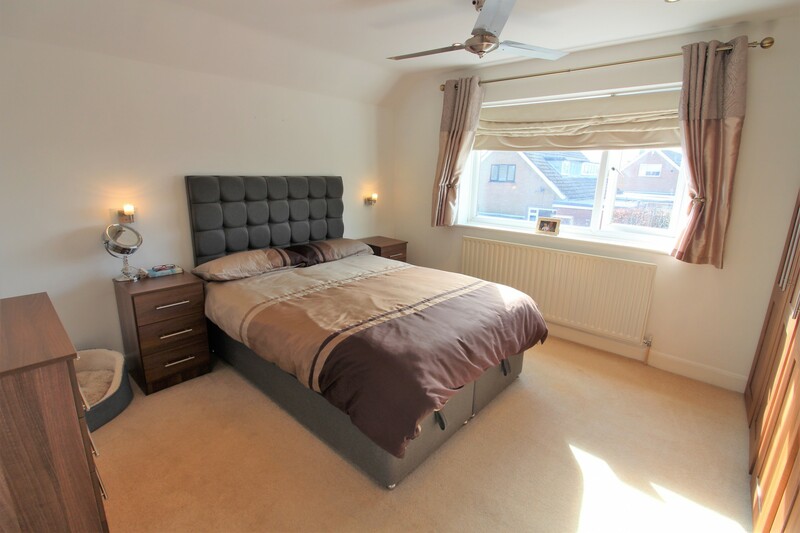 The property features an open plan kitchen diner, a four piece bathroom suite, a garage and briefly comprises ; entrance porch, dining area, kitchen, lounge, inner hall, bathroom, landing, three bedrooms, wc, garage, front and rear garden. A range of wall and base units with complementary work surfaces, five ring gas hob, double electric oven, extractor over, integrated fridge and freezer, integrated dishwasher, radiator, wall mounted combination boiler, stainless steel sink with drainer unit and mixer tap, breakfast bar, UPVC double glazed window to the side and rear aspect, UPVC door opens to rear garden. 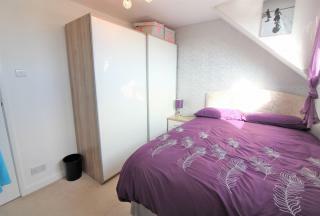 Storage cupboard which has plumbing for a washing machine, stairs to first floor. 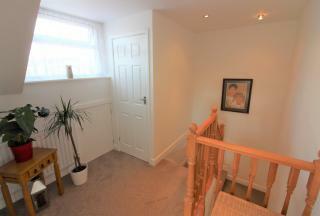 UPVC double glazed window to the front aspect, gas fire set into chimney breast, radiator. 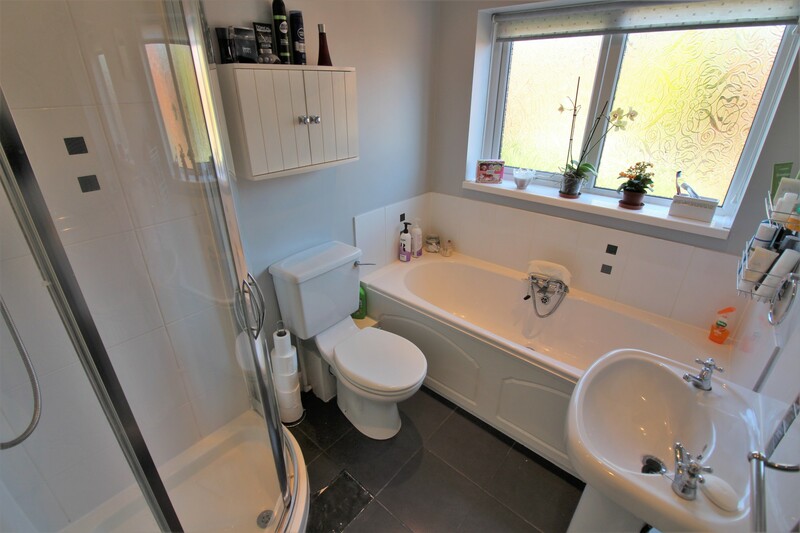 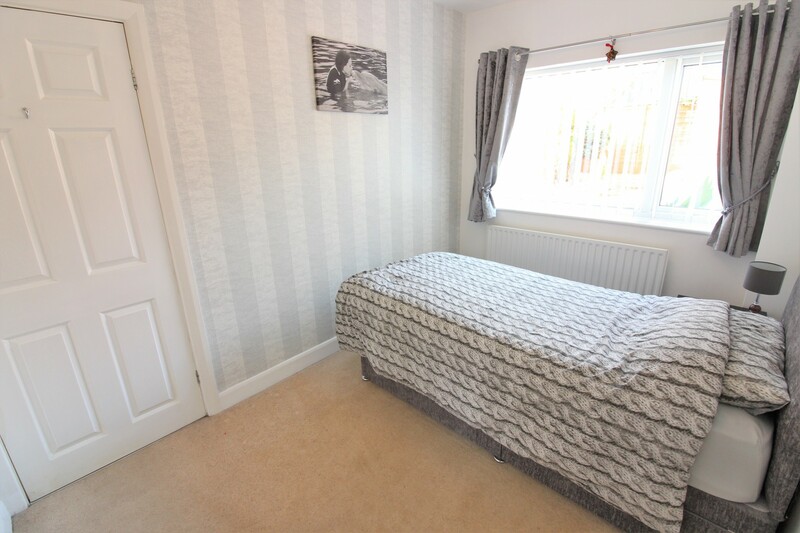 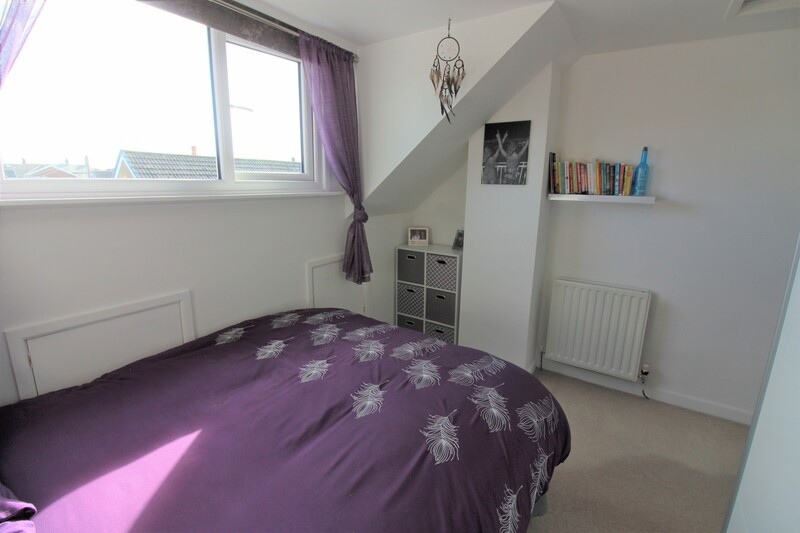 Four piece suite comprising ; panelled bath with shower attachment, shower cubicle, wash hand basin, low flush wc, part tiled walls, tiled floor, double radiator, UPVC double glazed window to the rear aspect. UPVC double glazed window to the rear aspect, under eaves storage. 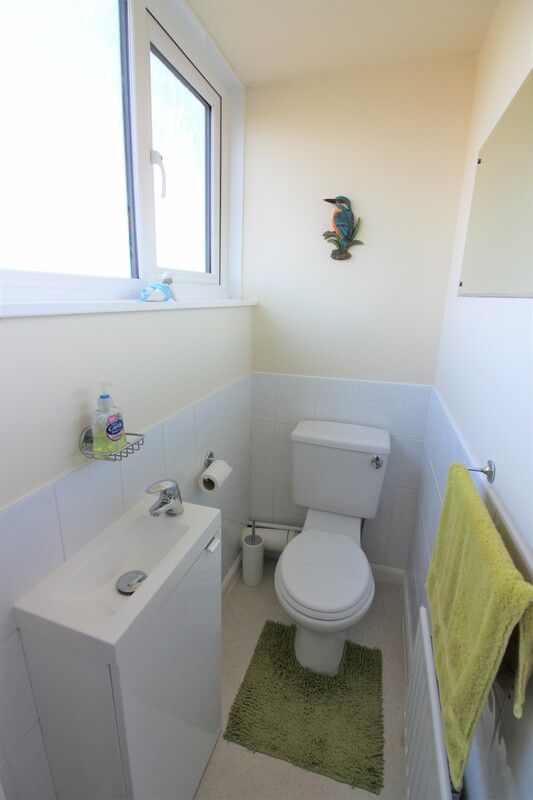 UPVC double glazed window to the rear aspect, part tiled walls, radiator, low flush wc, wash hand basin. 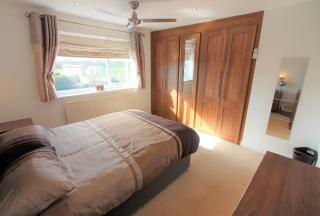 UPVC double glazed window to the side aspect, radiator, a range of fitted wardrobes. UPVC double glazed window to the front aspect, radiator, under eaves storage. 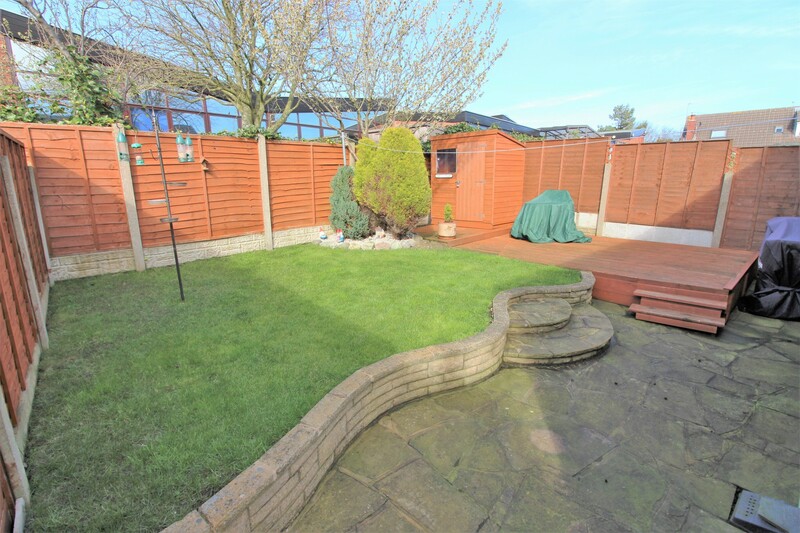 Part lawned, part paved, part decked rear garden.